Banks Place is a lovely development of three 3 bedroom houses and fifty nine 1, 2 and 3 bedroom apartments; twelve 1 and 2 bedroom apartments are shared ownership. Situated a short walk from Isleworth Railway Station and a 20 minute drive from Richmond, these new homes offer a high specification across flexible open-plan living space. Kitchens are contemporary with integrated appliances, master bedrooms are complete with fitted wardrobes and each house has a balcony and each apartment has a patio, balcony or terrace. 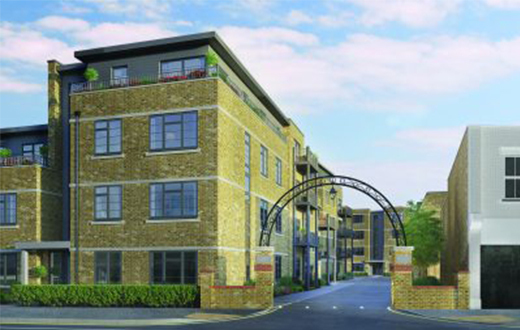 Michael Shanley Homes Scheme opposite the fire station on London Road, Isleworth.